Introduction This is the 1st blog in the series in which we are going to discuss the attrition in an organization. An organization is built with teams and the team’s growth is dependent on each employee, but when an employee quits the job, it can disturb a team’s dynamics. Other team members may find themselves scrambled to cover the extra work for weeks, or even for months until a new candidate gets hired. Hence, it becomes important for any organization to work towards retaining the key employees. Reasons Employees Want to Leave Their Jobs Here are some very common reasons that make an employee leave the job based on certain statistics we have collated the best information from various survey & studies to give you a clear picture of where an organization can go wrong and what causes employees to resign. ~ The job wasn't what they'd expected ~ Lack of coaching or feedback ~ They didn't get along with the boss ~ Lack of opportunity for career advancement ~ They didn't feel supported or appreciated ~ They weren't getting paid enough The job wasn't what they'd expected Research Says 86 Percent of Employees Quit Within the First Six Months, and the primary reason for that is immediate supervisor does not mentor a new employee. If the hiring manager unable to communicate frequently with the new employee about their roles and responsibility that during the first few months, an employee will get disengaged. The other core reason behind this is either they were misled by hiring managers or candidate did not understand the expectation of the job – like when an employer suddenly switches your boss on you. Leigh Branham calls it in his book: The 7 Hidden Reasons Employee Leave: How to Recognize the Subtle and Act Before It’s Too Late. Lack of coaching or feedback Every employee often wants to know about how they are doing and there is no surprise in this. What is their expertise? What are the areas of improvement? What they need to do to grow in the organization? If they get little or no feedback at work Seven out of ten workers in United States, are reported feeling actively disengaged. On the other side, the company who often provide feedback have a lower attrition ratio than the organization that doesn’t. They didn't get along with the boss One of the main reasons for employee attrition is that employees are leaving their Managers precisely and not the job. A poll of more than 1 million employed U.S workers surveyed by Gallup stated that the most common reason for people quitting their jobs is the immediate manager. 75% of workers who left jobs did so because of their bosses and no the position. There are innumerable situations when an employee must have faced trouble working along with their immediate boss. Maybe they are not comfortable coming up with questions or concerns, or maybe their supervisor won’t discuss their issues. Whatsoever the reason, the key point is that there is has to be a connection between the Manager and employee. It is the managers duty to make the atmosphere comfortable for them and discuss their goals. Some 54% of US workers are reported they felt most comfortable approaching their manager for their queries and concerns, and they are actively engaged at work. The ration quickly falls to 24% for those who gave the highest rating. In another study of 7,712 U.S. adults, by Gallup respondents were asked to rate their manager on specific behaviors related to communication, performance management, and strengths. The final result stated that the ratings on these behaviors "strongly link to employee engagement and give organizations better insights into developing their managers and raising the overall level of performance of the business." Lack of opportunity for career advancement In a write-up, Inc. mentioned that 32% of employees might have left the job due to career advancement and promotional opportunities. Most of us would agree to keep our most efficient and top performing employees in the same role for a longer time, but let’s be realistic here, this will not be acceptable by the employee. If, as an organization we cannot provide them with opportunities that will help them to grow, then when they find a company that is ready to provide them with this growth and new opportunities, they will surely quit. Everyone is looking for a job that will provide them with growth and better rewards. Similarly, when an employee holding a higher level of education is not valued he will definitely look for opportunities. So, the higher the level of education an employee has, the more chances are there they'll seek additional assignments that will challenge them to grow. They didn't feel supported or appreciated Everyone would like to get appreciated. Feeling recognized at the workplace can be the hardest thing for a company to measure of its employee, but it’s also a most significant thing to gauge. A Whopping 66% of employees report that they do feel not appreciated at work. How would you feel if not valued? It could be as simple as not being recognized for the job done well. It could be as obvious as being handled disrespectfully or being asked to work in the miserable environment. It could also be other reasons, more behind the scene, like unequal pay grade, job responsibility etc. They weren't getting paid enough Surprised!! You must be kidding yourself. It is one of the most prominent ways to make your employee feel that you care about them, by offering competitive wages. In a survey done by Gallup it said that, “highly engaged employees ratio is 43%, who are more likely to perceive that they are compensated as per their ability to work, compared to little or highly disengaged employees 15% and 13% respectively. Conclusion It is not easy for the Human Resource person to retain every employee that plans to leave, but to work on them to reduce the attrition rate is what become important for them. 9series is a popular mobile app development company and believes in employee satisfaction. They carry out a lot of activities for employee engagement and retention which will be discussed in the next blog. In this blog we have discussed some of the reasons for employees quitting their jobs, in the next part of the blog we will discuss about various factors and ideas that will help to keep employees more engaged by overcoming these scenarios. Stay Tuned to read the next blog in the series!. We will be back with Part II soon! Technology has a great impact on the way Human Resource departments work these days. With technology the HR departments are using new methods to contact candidates, employees and their clients, in fact, even for document storages and employee productivity evaluation and performances processes have changed to a great extent reducing the manual work. Technology has turned HR practices to be more efficient and optimised. There are many ERP & Orange HRMS development Companies that provide you with customised solutions based on your company’s requirement. ~ Transformation in Recruitment process Before the internet and email, contacting applicants was done via letter, personal interview and over the telephone. There were not many options left for them. While in current time, organisations are using multiple platforms to share their openings, and applicants can apply through their online portal or career page from where they can track all applications. It optimises the time an HR spends on a paper resume and personal calls. Yet, these HR practices don’t consider how helpful technology is for job seekers. Portal forms have standard formats making it difficult to identify if the job seeker is a perfect fit for the job or not. Technology gives an advantage to not only optimise your time and efforts but it also increases productivity if designed well. A badly designed system that is slow and has low response time might actually turn away a fit applicant from the organization. ~ Ease Of communication Human Resource department is all about communicating effectively with employees, through Messaging apps, texting or emailing as it makes it is easier than staying in contact with all employees. If a team manager wants to share new updates related to a project with the project team, it can be done easily by attaching details and sending emails to the entire team via Slack. It saves times and people, knows what needs to be discussed in the next meeting. They can also keep their questions ready to save time and enhance productivity. ~ Data Analysis Performance and appraisal is not a very easy task. It took to much of your time when you were analysing an employee based on discussion with Manager or supervisor for each of their team member. It depends on personal assessment and apparent standards: Delivery of task on time? Dependability? Etc. Technology makes it simple and easy to get details and analyse data for an overall picture. Using a software program for such activities can reduce your work and can take over most of the process for evaluating the performance of an individual once details are entered in the software by the manager and/or subordinates. ~ Documentation Unlike before where HR used to have a file on each employee which is then kept in the storage place where all files are kept, today everything is stored in the software where the information can be accessed in a single click on your computer. There many companies that opt for SAP, ERP software development or Orange HRMS that give you the liberty to store employee data in a single location and can also be password protected. Digital Data is accessible across the globe so no need to have a paper copy every time to get data (Save Paper Save Tree!! Go Green). At the same time, best HR practices have to include security for the digital data. HR needs to have good policies in place, though, governing who can have to access such confidential information, of both forms. ~ Too Much Data Usually, HR makes use of data collection and analysis more, knowing this the employee may feel that their privacy is been hacked or their data is not secure. If a company monitors the employees through the security cameras, it gives them the advantage to find out about any kind of harassment or misbehaviour in the office. At the same time being monitored continuously can alienate the employee. HR department may end up with another risk of managing more data, after a certain point, it will become impossible to pick out the most relevant material of the one that has been stored. By this, it may also happen HR may misread data or may make an assumption that in-person discussion can clear things up. Gathering more data is not a good practice, good HR practice involve how much should be gathered and how much data is relevant. Future of HR Technology With the technological penetration in the HR industry, it is expected that companies may adopt Machine Learning and Data Analytics. It is imperative that jobs will become more technical, the expertise will keep getting accessible. Recruitment and employee management software solution may become master through machine learning. There will always need for easy-understand, accessible and super-built tech solutions which can solve painful areas of the HR manager. Advanced technology has simply changed the problem solving and learning in the recruitment process. As we all know technology is advancing, it has become a vital importance for the organisation to keep themselves upgraded with the latest technology. Looking at today's scenario to job market it has become very competitive when it comes to attracting new talents for an organisation, hiring new staff with niche and specific skill sets as per the organisation need which becomes much more challenging and difficult prospect for the recruitment team. Nowadays recruiters are also finding new and innovative solutions to attract quality talents. 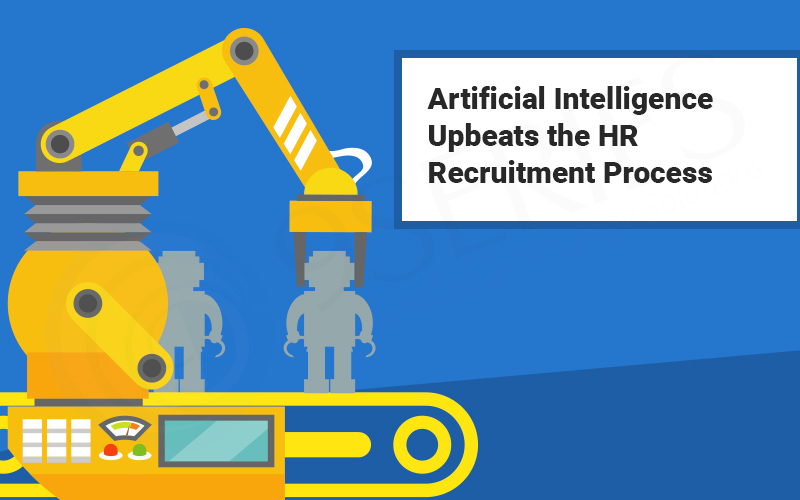 Artificial Intelligence for the recruiting is a new addition and also problem-solving and learning is displayed using this tool in the recruitment process. "Artificial Intelligence for recruiting is designed to automate the recruitment flow by reducing repetitive and high volume tasks. To make the most of AI in recruiting, it should be integrated with the current recruiting stack so that it doesn’t disrupt the hiring flow"
It offers an advantage to a competitor by quickening the selection process and increasing candidate's experience with the continuous updates in the workflow. However, it reduces the time involved in the phone screening of the candidates. Recruitment is integrated with Artificial Intelligence tool, the process becomes consistent, smooth and structured and saves lot of time and can cover large number of candidates.With the help of Automation, we can streamline the selection process with various intervention like screening questionnaires for candidates, managing the hiring process and competency-based feedback forms that can be discussed during each interview. Nowadays, recruiters are using chatbots to have real-time interaction with the candidate's video calling, skype interviews, online surveys and asking the question as per job requirements. In the recruitment process, the role of Artificial Intelligence is not limited but to find right candidate with a right set of skills and meeting the expectation of an organisation.These tools and techniques have increased the efforts in the recruitment process by researching the data and enables insight. With the help of automating systems, the hiring flow will be reducing the amount of time spent to collect interviewers feedback and efforts are taken by the interviewers to fill the feedback form. An Automated system will allow evaluation of interviewers immediately through job portals, with follow-up email reminders sent to the interviewer to speed up the evaluation process. Artificial Intelligence tools have built -in capabilities to reduce the cost and time spent for the recruitment team and easily get the specific skilled potential candidates for an organisation. Talent mapping is definitely succeeding pace in the recruitment process, where recruiters can easily find out the potential candidates in advance and can draft a strategic plan for hiring them in advance. Artificial Intelligence tool is helpful in filling the gaps, strengthening the team for immediate changes in the system by having potential talent in the pipeline for the later requirement. Recruiters who understand the alliance of AI with recruitment can use the technology to become efficient, to improve the quality of hire, increase productivity and can reduce turnover. 9series is among the top mobile application development companies in India has worked on changing the game of talent mapping with modern technology and tools. 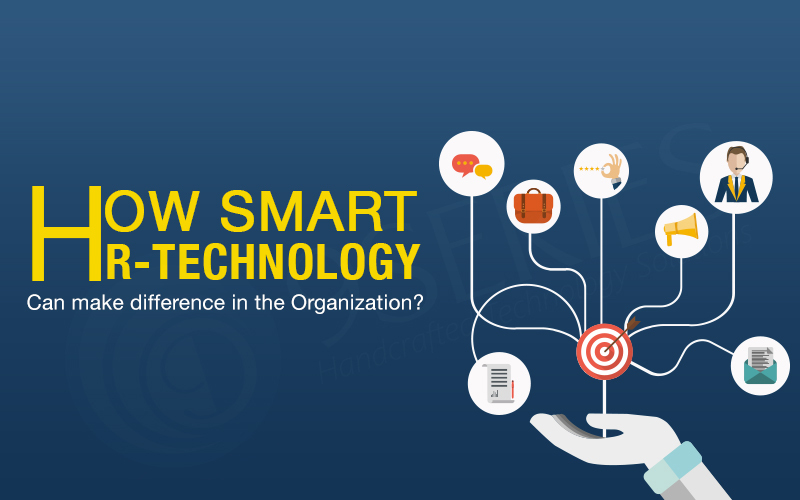 How Smart HR Technology can make difference in the Organization? It has been observed that manual HR processes also use to keep Human Resource person engaged with short term tasks, rather than long-term employee engagement activities. Smart HR tools have modified the human resource management process. With the help of HR tools and technology, organizations are taking an effective decision by using data analytics and insight. HR professionals replace their existing HR software with advanced technologies, functionalities, and capabilities. Smart HR tools and mobile apps are increasing the work efficiency of an employee. According to Brandon Hall, 54% of HR professionals want to replace their existing HR software to acquire advanced functionality and capabilities. With the help of advanced tools, HR and staff are able to reduce the risk of connectivity and do their job faster. They easily manage these tools by using the automated process like performance appraisal, succession plan and training programs. Reliable HR tools use to maintain a centralized storehouse of employee information that is easily accessible to all managers, HR and employees. With the help of advanced HR technology, employee's productivity has been increased by more than 41%. Create a feedback system which helps the managers to provide continuously quick performance feedback to their teammates. Persistent feedback improves an individual's performance and motivates them to perform better every day. HR manage the processes with highly functional HR platforms and essential tools that successfully digitizes information whenever required. Big Data & Analytics makes it easily conceivable to transform the way the companies understand their employees and lead their business. Big data added data-driven insights to HR about workforce and identifying the latest trends that organizations are adapting it. With the help of advanced tools, HR can easily identify that their employees who are facing issues in improving their performance get more benefit with the help of additional training and development opportunities. Technology has changed the lifestyles of human resources in many sectors like education, social media, Information & Technology and so on. Even traditional marketing moved into digital marketing, face-to-face meeting and sales meetings too are now done through web conferences. So what stops to human resource professionals to use technology!!! It's just not to adopt technology but it's just to adopt smart driven-data that will support human resource to improve the performance. 9series is among the top mobile application development companies in India and we have implemented our own HRMS tool for effective Human Resource department. It is very important for an organization to request their teammates to follow the transparency kind of culture and keep themselves comfortable and appreciate working with the organization. It has been observed multiple times in an organization that their workforces are not feeling comfortable due to the lack of communication between them and teammates. Due to this, sometimes employees do not feel good in exchanging their views and thoughts. The goal in front of the teammates and directors affects the performance of an individual as well as on job security. Organizational culture should be free and motivated so that every individual would love to associate with them for a longer period of time. Culture plays a vital role for growth and job satisfaction in individual's life. Herzberg (1957) had shown a low correlation between high morale and high productivity and it does seem logical that more fulfilled workers will tend to increase the value to an organization. Miserable employees, who are motivated by fear of loss of job, won't give 100 percent of their effort for very long. Though fear is a powerful motivator, it is also considered as a temporary one, and furthermore, when the threat is lifted performance too will decline. Job satisfaction benefits the organization and for that, it includes a reduction in complaints and grievances, absenteeism, turnover, and termination; as well as improving punctuality and worker morale. Job satisfaction is likewise associated with a healthier workforce and has been found to be a good indicator of longevity. Creative & Risk Oriented: Organization having creative and risk-oriented culture always finds their teammates comfortable, flexible and easy adapting new ideas with full courage and risk too. It has been observed that such organization always has a flat hierarchy in which job titles having different kinds of roles, not distinction and tend to be downplayed. In an organization, they don't follow a bossy sort of culture and always encourage their teammates to take a risk with full enthusiasm and support their teammate's failure with a positive attitude as well as with success too. Result Oriented: An organization who keeps a positive approach towards their team member always finds the best outcome and never focus on "How they have accomplished the outcome?" Such features play a crucial role in an organization culture. People & Fair Orientation: In an organization, Executives give more emphasis on thoughts, integrity, belief, and supportiveness of an individual's decision & rights with full respect. Such organization always follows the mantra "Employees are their Biggest Assets". Team Orientation: An organization has a more positive attitude towards their co-workers and their respective managers and also maintain a healthy relationship with teammates. Risk Tolerance: The degree to which, teammates are motivated to be creative, energetic and risk-taking. You can rank your organization on a continuum from low to high-risk tolerance. 9series as an organization has a positive and motivated culture for their employees and has became the top mobile application development companies in India offering best Android, iPad, iPhone and web application development services. We as an organization follows the transparency culture with both directors as well as teammates.